This article was posted on Sunday, October 8th, 2017 at 10:30 am and is filed under Culinary Tourism, Festivals, Holidays. 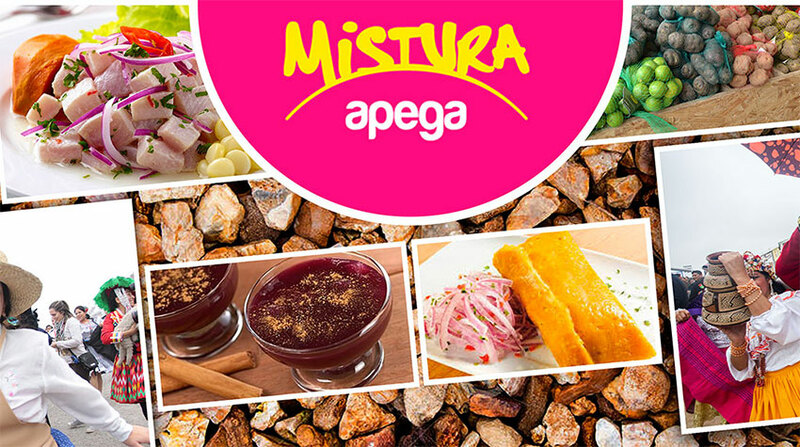 Mistura begun in 2007 and already goes for its edition number 10, founded by the Peruvian Society of Gastronomy, where tradition, creativity, identity and diversity meets. This fair brings together the best exponents of Peruvian food, to demonstrate the talent that for generations was inherited and that over time prevails in the hands of the most talented chefs and cooks from all over Peru. This event is a party because it is designed to be enjoyed by the whole family. Mothers, fathers, grandparents, children, siblings, uncles, friends, all are welcome and all are given place to enjoy not only the richest Peruvian dishes, but also events such as concerts, games, famous people that provide the ideal such a great event. Tourism is present and is that as it is well known worldwide, it is the largest gastronomic fair in Latin America, and that is why hundreds of tourists from all over the world come together to find in one place all the meals from all corners of our Peru and experience a unique, incomparable and exquisite pleasure that can only be found here. It is worth mentioning that there are culinary tours destined solely to bring tourists to enjoy this event that this year 2017 will take place in the district of Rimac, and everything is getting ready for this culinary event that starts on October 26 until November 5, 10 days of pure fun, color and above all taste! In this top 10 of our favorite culinary tour, you’ll be sampling the most delicious dishes from the 3 regions of Peru, coast, sierra and jungle. Each dish of our top 10 was selected and approved by our team, it was hard to try so many delicious meals, but we do it for you, to give you the best recommendations and we will do it as many times as necessary, after all, who can resist such a job? Do not stay outside and participate, if you are not yet part of this culinary tour, you do not know what you are missing… you will have to wait another year to get back to knowing about it.